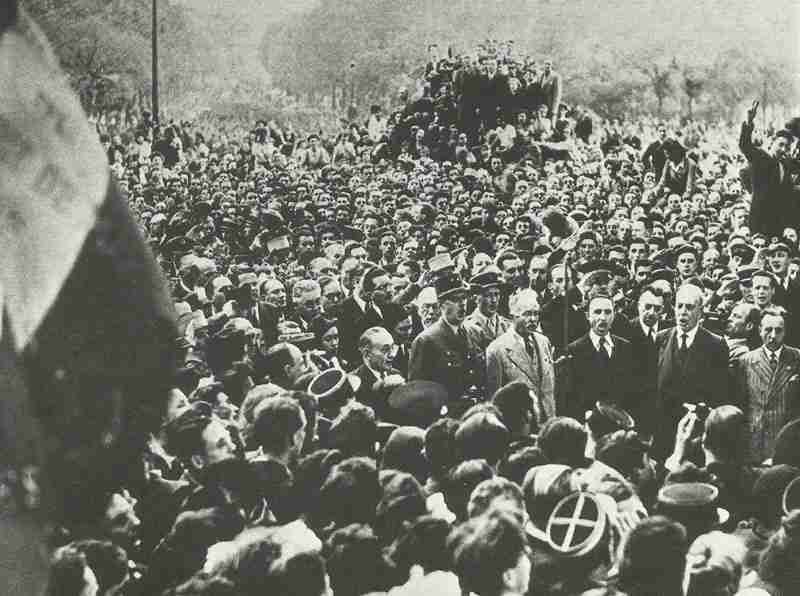 General de Gaulle enters Paris. DE GAULLE ENTERS PARIS. German garrison, Cdr.-General von Choltilz, surrenders in left­luggage office of Montparnasse Station, after openly disobeying Hitler ‘s orders to destroy city. 3rd Byelorussian Front captures Tartu (Estonia). RUMANIA DECLARES WAR ON GERMANY. FINNS BEGIN PEACE NEGOTIATIONS WITH RUSSIANS. Agreements signed between Britain, France and USA concerning civil administration of liberated territory.